International conference | Botanical Garden: COME IN! 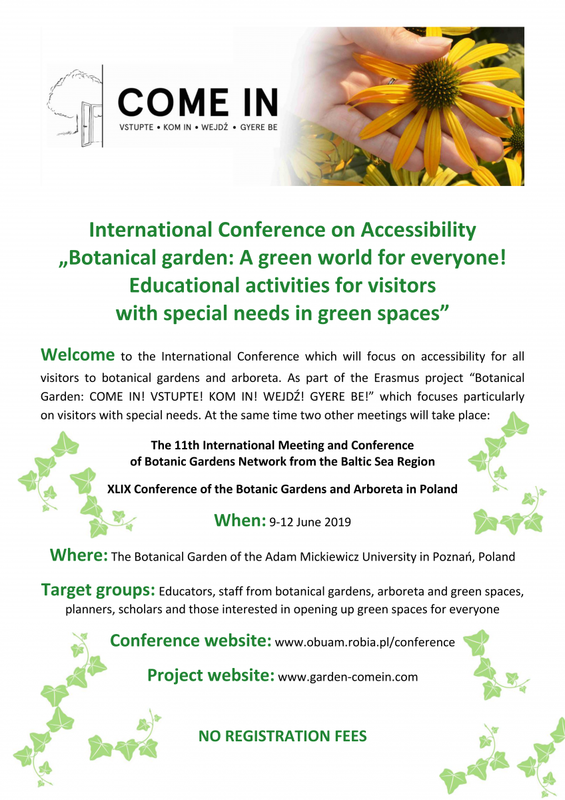 An international conference “Botanical Garden: A Green World for Everyone” will take place from 9th to 12th July 2019 in Poland. It will be the main dissemination activity of the project. You can find more info about the conference in the respective section of the project website or on the conference website itself.